Learn to organise photos so you can find them again. learn to organise your photos so you can find them again! We're your Memory Evangelists and on a mission to help you save your most important memories! 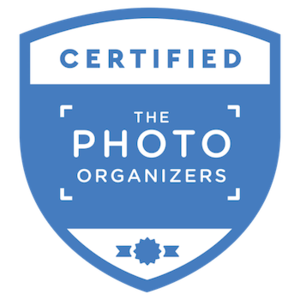 Our APPO Certified Personal Photo Organiser can help you organise your photos so you can find them again - whether your photos are all over the house (shoeboxes, slide boxes, or falling out of albums) or hiding on your cameras, computers, CDs, email, Facebook and phones. If you're concerned about your photo collection surviving any type of disaster from computer failure and theft through to fire, floods and earthquakes then we can help you. The basic steps of sorting and prioritising your photos. How to preserve and archive your printed photographs by digitising them. How to establish an easy and efficient digital photo management plan. How to back up your digital photos so they will survive disasters . Jill has given many talks over the past few years on photo organising to genealogy groups as well as senior groups. She also believes it is essential for parents to know how to sort, organise and preserve their ever-expanding collection of digital photos so would love to speak to more parent groups. Our tutor, Jill Boswell, is a Certified Photo Organiser and the only one in New Zealand. Please call Jill to discuss your needs at (07) 838 0031.